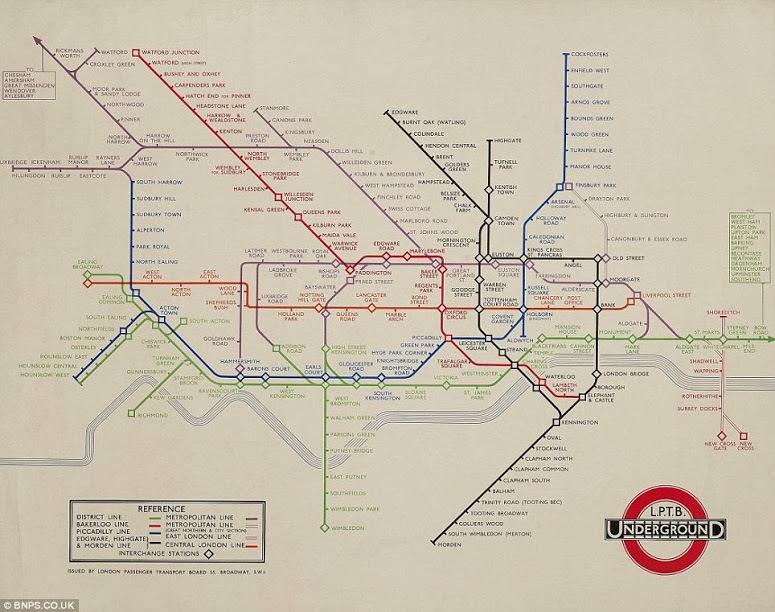 Opened 150 years ago, the London Underground is not only the oldest metro system in the world, but also the source of a graphic design revolution that has influenced the way information is communicated on transportation maps worldwide. 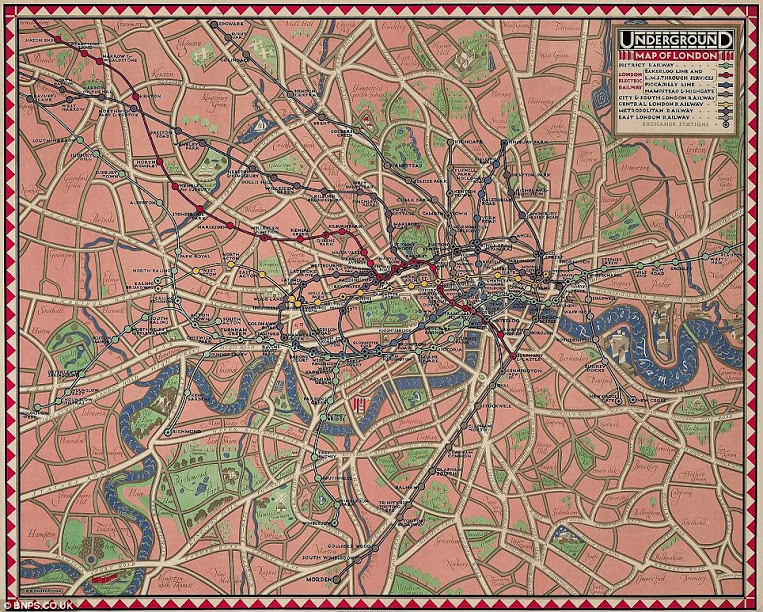 Transportation system maps everywhere had more or less the same problem, until Harry Beck, an engineer working for the London Underground, decided to spend some of his free time designing a clearer map for the Tube. His goal was to make the map easier to read by focusing on the information that mattered most to passengers, i.e. how to get from one station to another. Beck was the first to draw a transportation system map using both a clear color code and a simplified design that ignores actual geography, replacing it with lines that are only horizontal, vertical or at a 45° angle. Few of us think about design in front of a transportation map, but the ingenuity and elegance of solutions like Harry Beck’s play a crucial role in making cities more readable and user-friendly for millions every day.